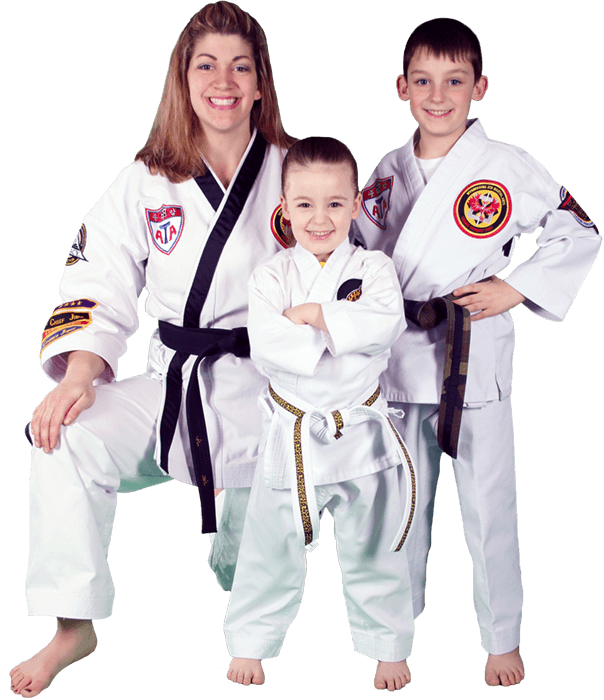 When I opened my school in 2013, I made a commitment to serving and empowering the community of Wyomissing by teaching children and adults the confidence, leadership and fitness skills that can only be achieved through martial arts. Our son JJ loves ATA! He has been attending since October 2014. He has learned so much in the short time of attending there. Not only the much appreciated self defense but also his behavior has changed! Thank you to all of the instructors! You really do put of the vibe that you love what you do! At the time in life when most people go fishing sit in there reclining chair to read or watch TV I decided to join Wyomissing ATA Martial Arts. This was an opportunity train with my Granddaughter. This training has been very good for attitude, self esteem, balance, flexibility not to mention building muscle, loosing weight and getting a great cardio work out. This is an opportunity to meet new friends and have fun while learning the skills of Taekawondo. I have been doing Taekawondo for more than five years and feel great.